The first mention of Gouda cheese dates from 1184, making it one of the oldest recorded cheeses in the world that is still made today. One of the most popular cheeses worldwide, the name is used today as a general term for a variety of similar cheeses produced in the traditional Dutch manner, as well as the Dutch original. 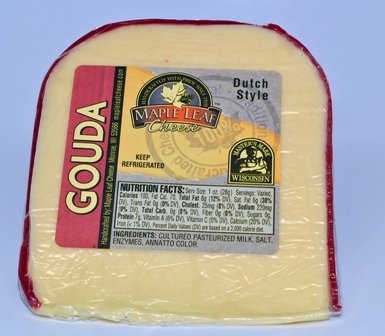 The cheese is named after the Dutch city of Gouda, not because it is produced in or near the city, but because it has historically been traded there. 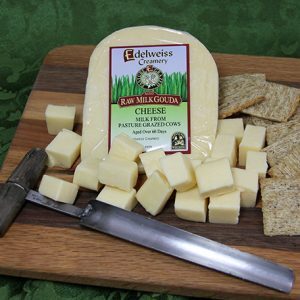 Our Gouda is made with part-skim milk. 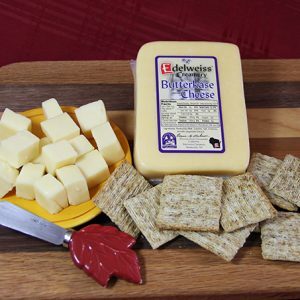 It has a light buttery, nutty flavor and a smooth firm texture. It’s great sliced on sandwiches, shredded on baked dishes or cubed in salads and vegetable dishes.